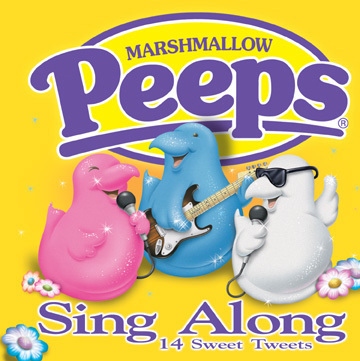 The Marshmallow Peeps album was released in the fall of 2001, in the shadow of the World Trade Center tragedy. It was a time when footage of the crumbling buildings was still being broadcast 24/7 on network television, and the media was pumping us up as hard as they could for the inevitable war against a lot of people who didn’t do it. Either that, or the government rounded up the worst singers in the country, recorded them, and branded it as a Marshmallow Peeps CD so nobody would accidentally listen to a collection of music designed to be used to torture foreign combatants.